Melissa is a passionate MarCom lover who wants to live in a world where marketing communications are concise, effective and aesthetically pleasing, professional bios aren’t boring and Starbucks lattes have free refills. As the Marketing Manager at IPG, she has spent the last year-and-a-half taking their marketing collateral, email campaigns and website to the next level. 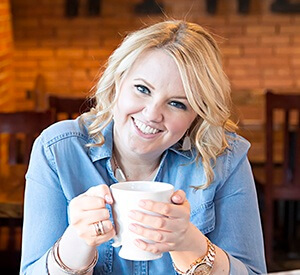 Prior to joining IPG, Melissa was the Marketing Director at Cady Studios where she oversaw website redesigns, B2B and B2C marketing and email marketing communications for multiple brand lines. Before spending the past 10 years immersed in the world of Marketing, Melissa received her BA in Political Science from Miami University in Oxford, OH. When Melissa isn’t designing pretty things or reading up on digital marketing, you can find her doing DIY projects.